Hands down this was the best display at Games Day last year. I’m very excited to see if this year’s display can live up to the same standard. 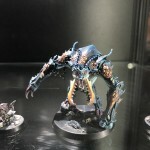 There is lest than one week until Warhammer Fest. It looks like tickets will be avaible on the door. So why not try to convince you friends to hand over £20. There will only be one Warhammer Fest 2014. 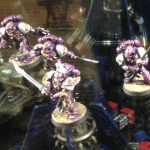 You can see more photos’ from this Emperor’s Children drop site display here. FULGRIM Emperor’s Children Primarch vs FERRUS MANUS Iron hands Primarch. 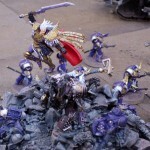 You can see more photos’ from this Emperor’s Children display here. 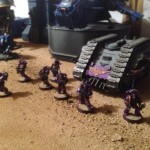 This entry was posted in Emperors Children, Games Day, Horus Heresy. Bookmark the permalink.